I’m so proud to be part of this anthology…. There are moments when I know I nailed it. 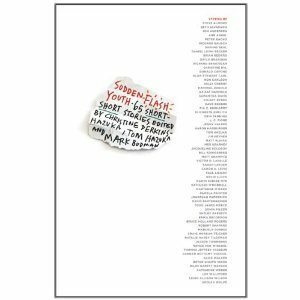 My short story, “The Bracelet,” in Sudden Flash Youth is one of those times. I’m so proud to be included with such authors as Meg Kearney, Kelly Cherry, Pamela Painter, Alice Walker, David Eggers and so many more amazing writers! But I also think this story captures one of those horrific relationship moments when you discover that your reality isn’t true at all. I think I nailed it. I seriously, absolutely may have nailed the moment! You can pre-order this anthology now. It will officially debut in October. I can’t wait!